Describing the sound of a sampler is an impossible task: it is what you make of it. Fortunately for you, we've enlisted the help of some of the world's most adventurous sample gurus and sound designers to inspire you with presets. 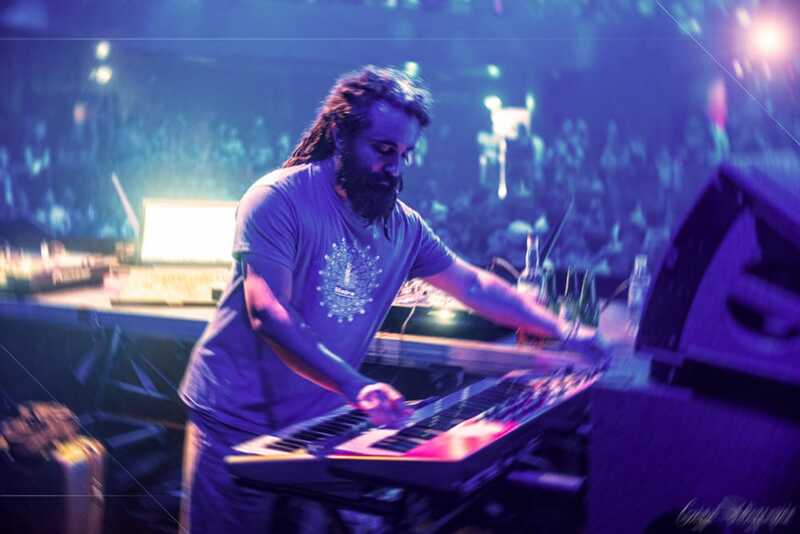 Jean-Baptiste Arthus has been a resident Arturia sound designer since 2014, In charge of creating factory presets and soundbanks for all the Arturia instruments. 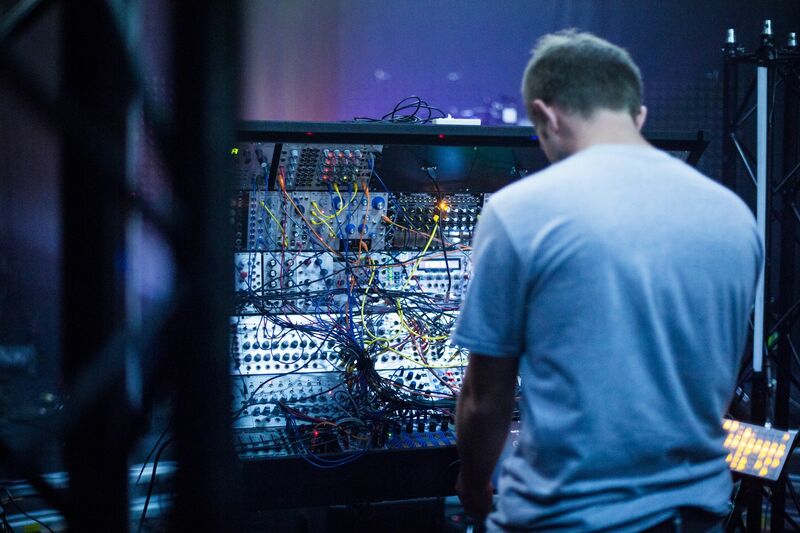 On top of his relentless creativity at Arturia HQ, he also performs live under the guide 55h22 using exclusively modular systems. It is noisy, it's a natural bitcrusher, you can put any sample in and at the end have something totally different. The spectral synth, that is a new added feature, is an easy way to use the additive synthesis whithout too much programming. It also opens more modulation possibilities. To start off with I was afraid that the CMI could be limited but at the end with the three synthesis modes I've not finished exploring it at. I was thinking that it would only be useful for smashing samples but I've spent most of my time on the synthesis mode. I was experimenting with spectral synth mode, it was one of my first patches. Backward/Forward looping gives that reversed delay affect, I'm using the sawtooth wavetable and the new reverb we added to this V Collection. I was trying to stop my newborn from crying, had multiple applications open on my computer and as I was reaching for one of her pacifiers she wound up flailing her arms and striking some keys on one of my MIDI keyboards. The result was my daughter triggering a bunch of random sounds from the different applications that were open. I begin tweaking by adjusting different parameters: Filter, octave, loop start/end and basic tuning on some of the sounds, and mapped some of these parameters to controls to give some variation to the preset. As a sweetener, I relied heavily on pitch shift, flanger, reverb an analog chorus as well as manipulation of the stereo field. I notice that if I’m playing the preset in a higher octave and slowly introduce lower octave notes it sounds like the water is bubbling, as if something is trying to emerge from underneath. Babies and happy accidents, gotta love 'em. It can turn even seemingly mundane things into incredible sounds. 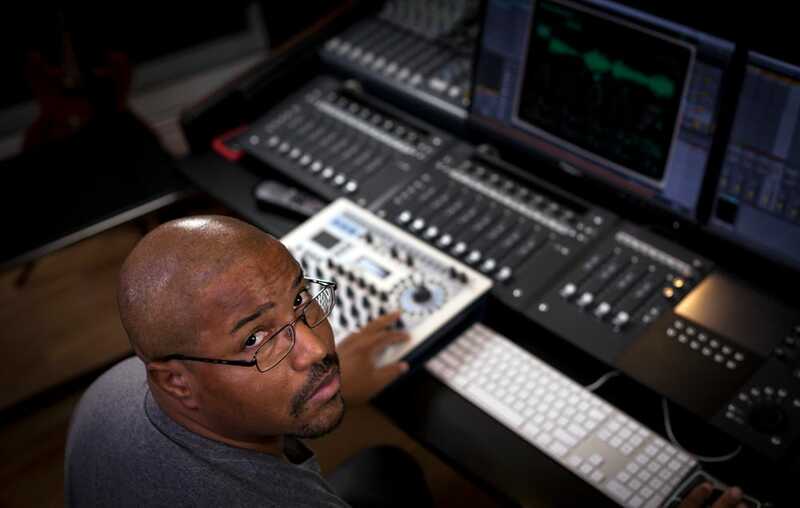 Greg Savage is a prolific TV composer and sound designer, as well as a recording studio manager based in the USA. 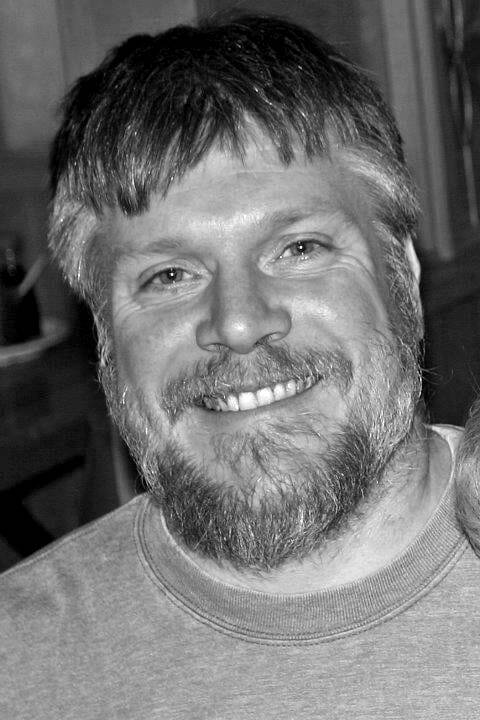 As a semi-professional gamer in the early 00s, Greg was forever exploring the sound file archives iin the game's directories, replacing sounds and experimenting with his own. Turning his curiosity into a profession, Greg now creates sounds for first person shooters, ESPN, and, of course, Arturia. The Fairlight CMI is special to me because it's the first piece of gear to merge ‘sampling and sequencing’. Sampling is the foundation of many genres: Hip-hop, Jazz Fusion, Psychedelic rock etc, and some of the finest recording artists of all time used the Fairlight in their productions. Without the original, we wouldn't have the likes of the Akai MPC, Boss SP303, and ASR10. I can't imagine where music would be today or how I would have been influenced without that technology. My approach to designing with the CMI V was quite lengthy. I've only been around a handful of Fairlights in my lifetime and not for very long. With the aid of Garey Kennebrew, I was enlightened to the ways of CMI, and started creating my own sounds. I created a loop in my DAW, and started experimenting with found sounds from around my house. The sound shaping tools in CMI V are so powerful, it can turn even seemingly mundane things into incredible sounds. Even if I went into a project where I have specific sounds I'm aiming for, I would always find inspiration from "happy accidents". It's powerful, and the automations are easily assigned. 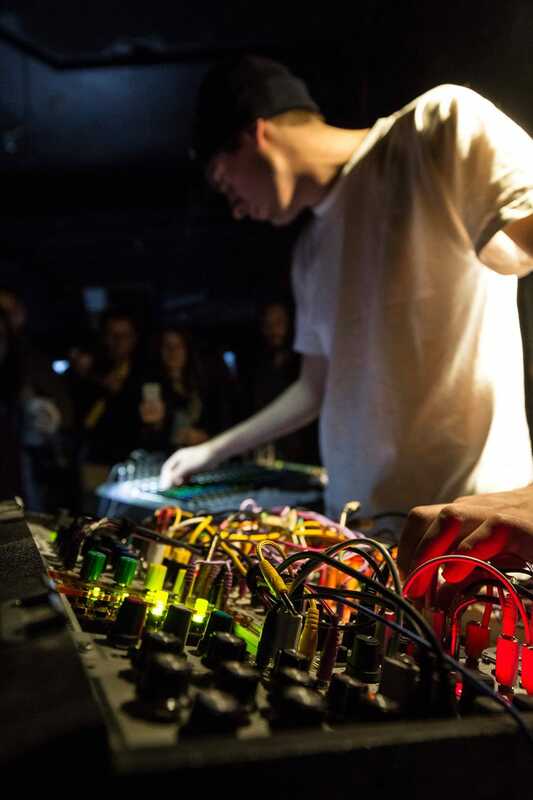 Paul Nazca is an electronic musician from Arles, France, owner of Scandium Records, and lover of music making machines. The main strength of the CMI V is that everything is very legible and user-friendly – the interface is well-designed. The FX are particularly powerful and the automations are easily assigned. I worked on my own machines to produce the sounds I used to create the presets. Once these sounds had been generated, I integrated them into CMI V, which let me layer up to 8 sounds in each slots. I didn’t really have a specific sound in mind when I started working on producing the presets, I just started stacking the sounds in the slots and seeing what the results were. I decided to work on the basis of both long and short aggressive sounds. "Aragor Planet" is one of the richest presets I created, layering 5 different sounds. This preset is also atmospheric and strange, it sounds like something that goes round and round. Clément Bastiat is a musician and mastering engineer. Starting out on violin at age 5, Clément became heavily involved in electronic music. Always creating new and unusual sounds for his dark psytrance project Cubic Spline, Clément also applies his golden ears and sonic vision at Storm Mastering. I love the fact that it was the first sampler, and that it features the Fourier synthesis inherited from his predecessor the Quasar M8. The time synth is very deep, and if you are a bit imaginative, you can emulate granular synthesis or even FM synthesis with it. My approach to sound design with the CMI V was shared between making classic VA sounds, coupled with the Fairlight tone, and deep time synth explorations. So I would say, all methods! I loaded that bottle sample I had recorded a few years ago, and felt it would be appropriate to layer it with some threathening, mysterious pads. So that's what I looked for when designing the two time synth layers. I wanted to have a template in my CMI V bank for the classic puristic electro beat used in my own productions, it’s made of drum samples that I've created with other synths I own. Obviously the pattern sequencer is the most important feature used in this preset, it’s so easy to use and it’s a very familiar interface for making beats and rhythm sequences. It’s so easy to use and it’s a very familiar interface for making beats and rhythm sequences. 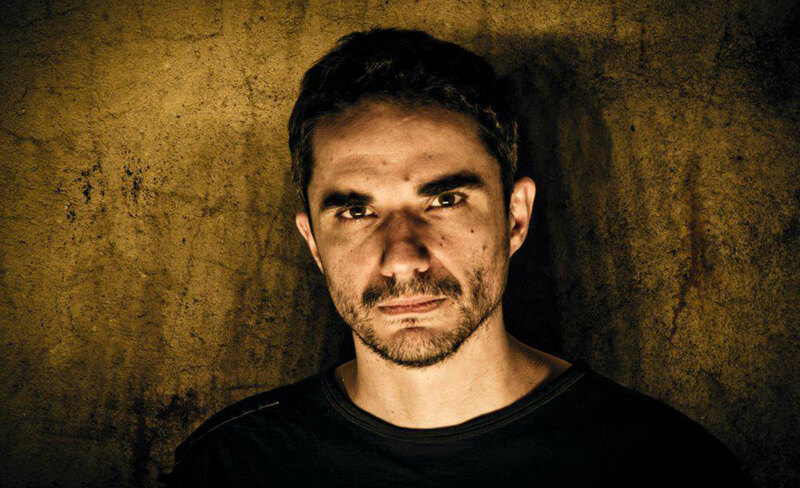 Laurent is an electronic musician based in Paris, who has been producing techno and puristic electro for the last 15 years on labels like Bass Agenda, Elektrofon, Skryptöm, Afu Ltd, Boys Noize, Battery Park Studio, Police Records and Space Factory, and is currently working on his debut album. I think it was one of the first “all in one” electronic instruments, a kind of ancestor of the modern groovebox/workstation with synthesis/sampling and sequencing inside. The CMI V has the same cool approach, you can hear your sounds in context, musically, without leaving the software and its somewhat limited workflow, but it helps creativity. The first thing I do when I get a new instrument is to create patches or sequences that remind me of my favorite bands and tracks to get inspired. The CMI V was a perfect match for this kind of work because of it’s sampling abilities. I finally have the chance to see what the hype was all about. Ed Ten Eyck is a synth enthusiast and sound designer who has created presets for various developers, most recently for Arturia's CMI V and UVI's Falcon. 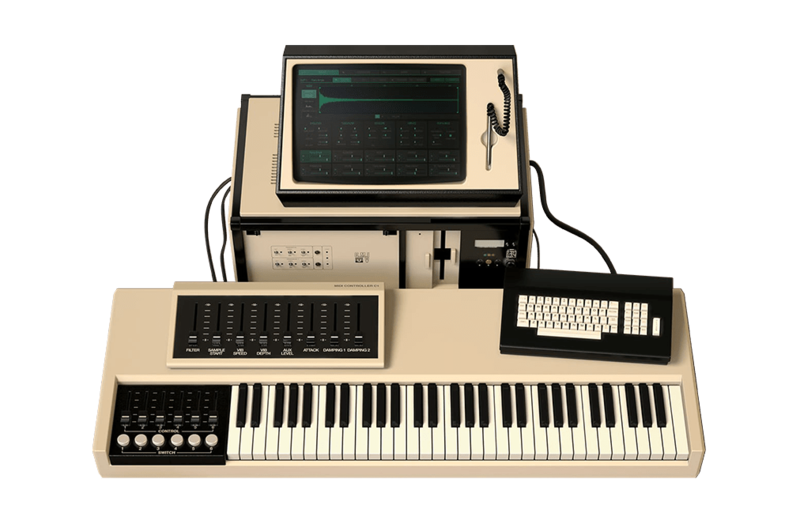 I was very interested in experimenting with the Fairlight CMI's sampling capabilities back in the early 80's but gave up on that due to the high price tag. Now that Arturia made the CMI V, I finally have the chance to see what the hype was all about. The feature I use the most is probably the sample evolution section, since some very interesting things can happen when its parameters are modulated. When designing sounds for the factory bank, I often started with a small looped section of a sample and modulated its starting point. Then depending on the results after adjusting the speed, I might add another layer with a different sample at a different speed, and maybe add a spectral synth layer to add some 'flavor'. For 'Obelisk', I had the intention of making a dark and ominous sound with a sci-fi feel, the end result has faster modulations that I originally intended though. It uses a short looped portion of a 'Cuckoo' sample and the loop position is modulated. Then there are two spectral synth layers to add to the feel. I love the thought of infinite possibilities in sound! 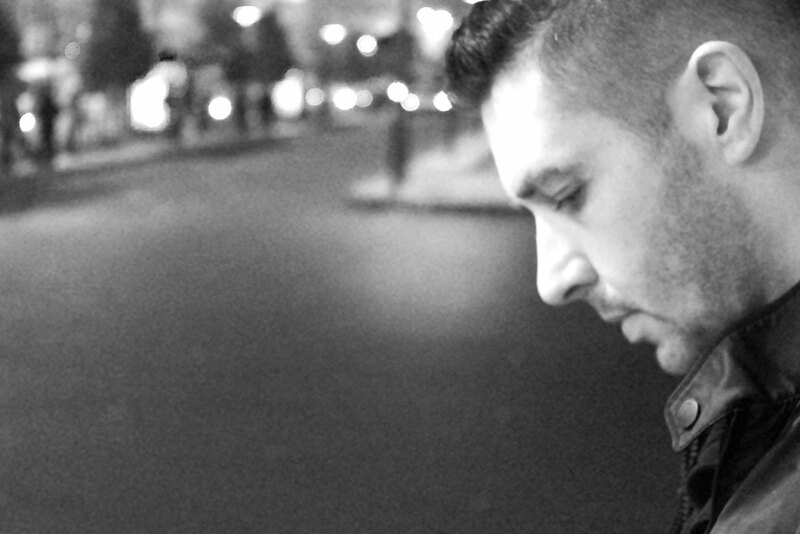 Maxime Dangles is an electronic music producer from Valence in the south of France. Starting his professional music journey a decade ago with a KOMPAKT release, and working with techno label SRYPTÖM today, Maxime is also involved in several creative projects, including Möd3rn, DNGLS, and a solo live modular electronica act. Although hardware is his main love, he's been an avid follow of Arturia's V Collection since version 3. Although I never had the opportunity to use the original Fairlight, it's been used in nearly all of the music I loved growing up. Now I've had the chance to compare the CMI V and a vintage Fairlight side by side at Arturia HQ, I'm amazed by the recreation. I love modular systems, so I naturally felt an affinity with the 8 assignable functions and 8 layers of polyphonic synth, I love the thought of infinite possibilities in sound! Most of my presets have been created with my own samples. I used outdoor recorded materials like the Paris subway, sounds from my modular system, and my wife's voice. First, I filled up the available slots with my samples, created presets with all those materials, and after that I layered & mixed them to create my final presets. The option to add a Spectral layer has been really useful for me, as you can create rich sounds easily, morph between the wavefroms, or use it like a harmonic oscillator, I find it unique and very powerful. I used an old "soundscape" sample I created for a movie. I stack it with a Spectral sound, and finally decided to duplicate the soundscape sample with one more octave to have two layer of it. The sample is looped back and foward infinitely, and the function number one modulates the end of the loop. So it creates a sort of unstable but playable sound, and the spectral layer adds a bit of playability to the preset. With this preset, I simply wanted to recreate a Pet Shop Boys-style sequence, which a nice rhythmic element, and with sounds like the famous Fairlight voice that can be heard on the album "Zoolook" by Jean Michel Jarre. CMI V renders the samples with period-accurate color, which let me easily get the result I wanted. I also added a track with the Spectral Synth to this preset. Stéphane Schott is a French composer and executive producer working in television, music editing, for video game studios, and many other private-sector companies at national and international level. On top of this, Stéphane still finds time for his first passion: sound design. He has worked as a composer and designer for Arturia for many products, including V Collection 4, 5, and 6, Spark 2, and MiniLab MKII. It is already based on an instrument that is at the origin of the first samplers. The CMI left its mark on the music world, and was used by all the greats: Peter Gabriel, Kate Bush, Stevie Wonder, Tears for fears, Jean-Michel Jarre, Mike Oldfield, and Art of Noise. It's a joy to rediscover all these sounds that were used so creatively and intensively by all these artists at this period. I'm also happy that Arturia did not just offer the sampling part of the Fairlight, but also integrated the Spectral Synth part too. Indeed, the ancestor of Fairlight, the Quasar M8 CMI produced between 1975 and 1977 already integrated additive synthesis. You can create full sounds in different ways with the CMI V. We can start from a sample that we will easily edit and loop, or by using the Spectral Synth section. We can then work tuning, filtering, envelope, vibrato, We can assign functions to destinations. We can also work from the sequence of Fairlight V and sync with a DAW. Sound engineer and musician, Valentin has started to work at Arturia mainly as tester, but also as sound designer and electronic developer. A guitarist and harpsichordist, he experimented with electronic music to work with sound and texture, in the blurred line between musician, physicist and sound engineer. He plays in an electronic duo under the name of Derek & Tom. 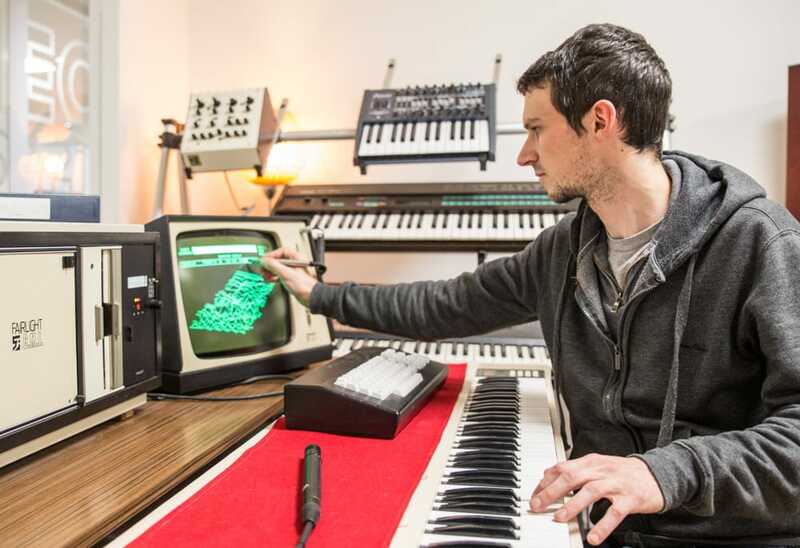 The Fairlight is one of the first samplers; it opened a fresh new door to music creation. I'm really impressed by the capabilities of the instrument. The way it transformed the samples was unique and allowed for new types of sound at the time where numerical audio effects were just stammering. The CMI V takes these features and brings them to the modern world, extending possibilities of the original synth. Testing the CMI V inspires me a lot. I had many sounds in mind and I tried to create them in a few presets. I wanted to use all of the features of it. Sometimes I knew which sound I wanted and how to make it, sometimes it was superposition of various CMI V techniques. I began this preset by testing the Spectral Synthesis features. I found an interesting sound and then the preset was defined in my mind. I knew what I wanted, it was just a matter of adding, placing and trimming the right sounds. I used most of the CMI V features for this sound: spectral synthesis, time synthesis and sampling. This preset is a kind of an ""opening"" sound so I wanted to mix original sounds and features with specific features of the CMI V to create a huge and enveloping sound. Exploring the incredible power and revolutionary capabilities of this 80s classic, CMI V contains hundreds of presets in a huge variety of styles to ignite your creativty.